Adding to the extremely absurd comments made by the members of the incumbent regime, President Rajapaksa has said today that his ‘file’ comment has been misinterpreted by media. 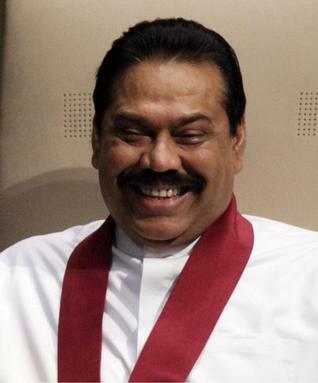 According to local media, speaking at a breakfast meeting held this morning at Temple Trees for Editors of national newspapers, President Rajapaksa had stated that he was not referring to any ‘files’ containing information on corruption but was only referring to the files that various Ministers forward to him. “There are many kinds of files,” he had said smiling. His clarification however fails to tally with his original comment made during a rally over a week ago, where he stated that he possess ‘files’ on all the Ministers who defected but that he would not use it against them since he does not seek vengeance. Meanwhile, during the meeting president Rajapaksa had commented on the candidacy of former Minister Maithripala Sirisena, adding that the real competition is between former President Kumaratunga and himself. He has said that Former Minister Sirisena is being used by Ms. Kumaratunga to take revenge from him but had added that he is not surprised at her bitterness since he has been able to achieve many things that she could not even imagine.